8 March 1936: First Lieutenant Robert Kinnaird Giovannoli, United States Army Air Corps, a test pilot assigned to the Material Division at Wright Field, Ohio, was killed when the right wing of his Boeing P-26 pursuit, serial number 32-414, came off in flight over Logan Field, near Baltimore, Maryland. 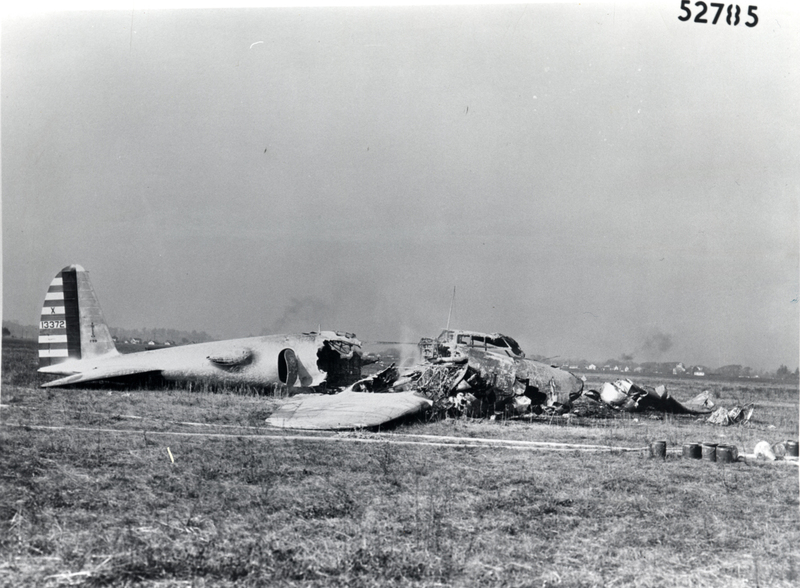 When Wing Of Plane Falls Off—Lexington, Ky., Man An Army Lieutenant. Baltimore, March 8—(AP)—Lieutenant Robert K. Giovannoli, 31 years old of Lexington, Ky., hero of the spectacular bombing plane crash during army tests at Dayton, Ohio, last October, was killed today in the crack-up of his army plane at Logan Field, here. Giovannoli’s single-seated pursuit plane lost its right wing coming out of a glide and hurtled down in a crazy spin from an altitude of less than 500 feet [ meters]. It rolled over after hitting the landing field and was demolished. 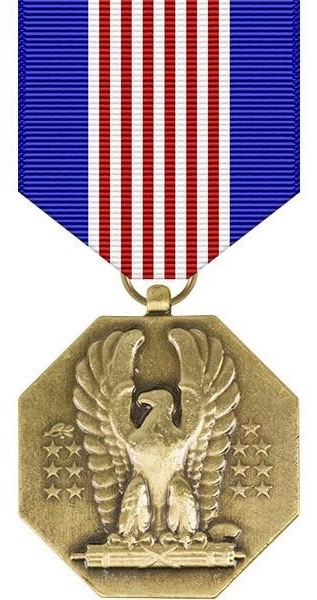 Lieutenant Giovannoli received a medal for his heroism in rescuing two men from the flaming wreckage of the Boeing “flying fortress” after it crashed in the army bomber tests at Wright Field, Dayton. The Wright Field hero was taking off for the Middletown, Penn., air station when his plane plunged him to death at Logan Field. The flier had arrived here yesterday. Lieutenant Colonel H.C.K. Nuhlenberg, air officer of the Third Corps Area and in command of Logan Field, said an Army Board of Inquiry would be summoned promptly to investigate the fatal crash. Nuhlenberg, who had just landed at the field himself, said Giovannoli had gotten his craft under way and turned back to fly over the field at a low altitude. The wing of Giovannoli’s plane wrenched off, Nuhlenberg said, just as the craft was coming out of the glide and starting a zoom to regain altitude. The President of the United States of America, authorized by Act of Congress, July 2, 1926, takes pleasure in presenting the Soldier’s Medal to First Lieutenant Robert K. Giovannoli, United States Army Air Corps, for heroism, not involving actual conflict with an enemy, displayed at Wright Field, Dayton, Ohio, 30 October 1935. 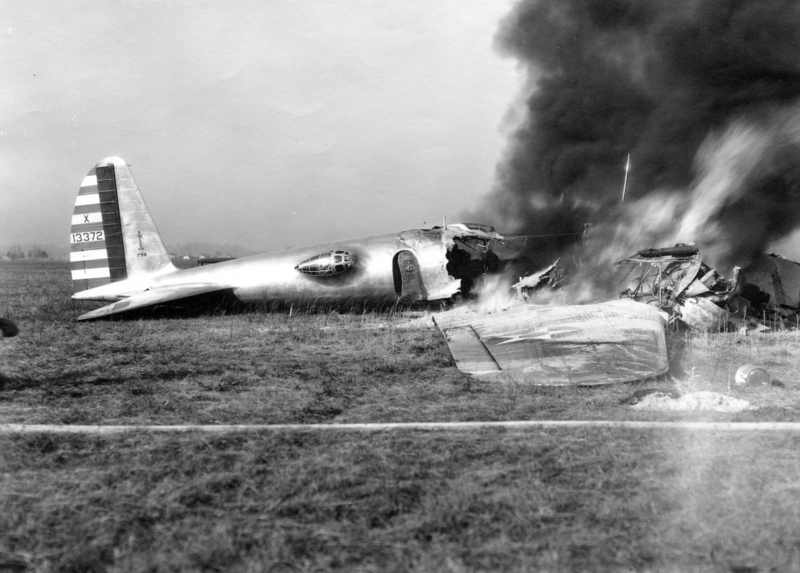 When a Boeing experimental bomber crashed and burst into flames, Lieutenant Giovannoli, who was an onlooker, forced his way upon the fuselage and into the front cockpit of the burning plane and extricated one of the passengers. Then upon learning that the pilot was still in the cockpit, Lieutenant Giovannoli, realizing that his own life was in constant peril from fire, smoke, and fuel explosions, rushed back into the flames and after repeated and determined efforts, being badly burned in the attempt, succeeded in extricating the pilot from an entrapped position and assisted him to a place of safety. Robert Kinnaird Giovannoli was born at Washington, D.C., 13 March 1904, the second of two sons of Harry Giovannoli, a newspaper editor, and Carrie Kinnaird Giovanolli. His mother died when he was six years old. Giovannoli graduated from Lexington High School at Lexington, Kentucky, in 1920 and then attended the University of Kentucky, where, in 1925, he earned a Bachelor of Science degree in Mechanical Engineering (B.S.M.E.). He was a member of the Phi Delta Theta (ΦΔΘ) and Tau Beta Phi (ΤΒΦ) fraternities, treasurer of the sophomore class, and president of the American Institute of Electrical Engineers. He was employed by the General Electric Company at Schenectady, New York. Giovannoli enlisted in the United States Army in 1927. After completing the Air Corps Primary Flying School at Brooks Field, and the Advanced Flying School at Kelly Field, both in San Antonio, Texas, he was commissioned as a second lieutenant in the Air Corps Reserve, 20 October 1928. Lieutenant Giovannoli was called to active duty 8 May 1930. 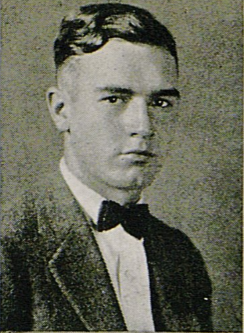 In 1933, he was assigned to a one year Engineering School at Wright Field. He then was sent to observe naval aircraft operations aboard USS Ranger (CV-4) in the Pacific Ocean. He had returned just a few days prior to the accident. At the time of his death, Lieutenant Giovannoli had not yet been presented his medals. First Lieutenant Robert Kinnaird Giovannoli was buried at the Bellevue Cemetery, Danville, Kentucky. 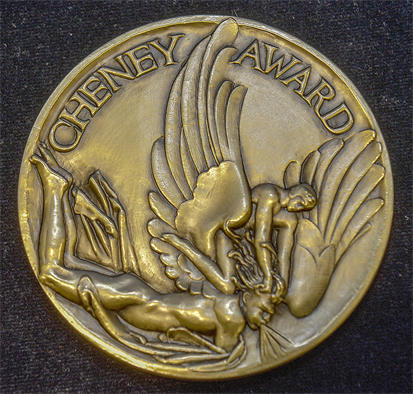 In 1985, the Robert Kinnaird Giovannoli Scholarship was established to provide scholarships for students in mechanical engineering at the University of Kentucky College of Engineering. 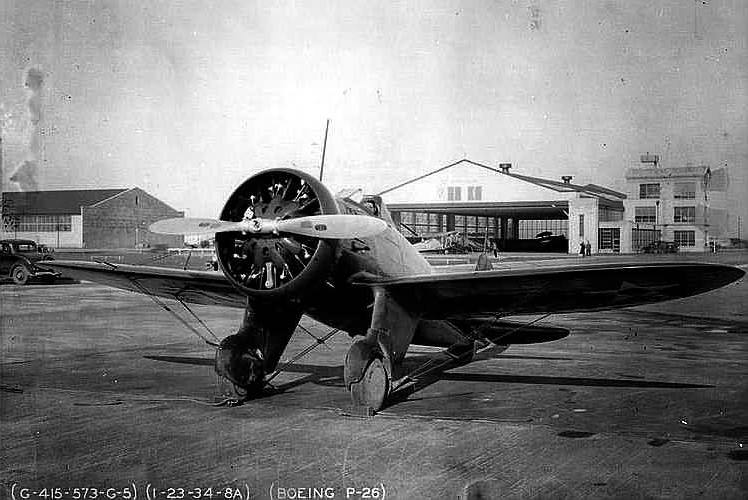 The P-26, Air Corps serial number 32-414, was the last of three prototype XP-936 pursuits built by Boeing in 1932. 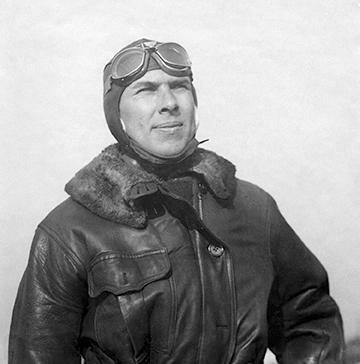 Boeing’s chief test pilot, Leslie R. Tower, conducted the first flight of the type on 20 March 1932. 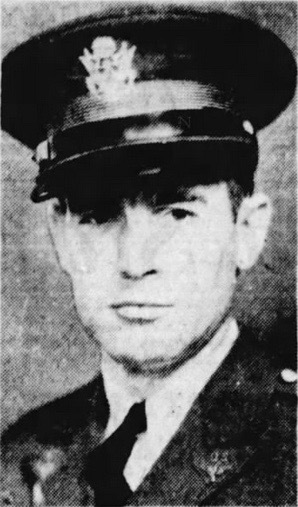 Leslie Tower was one of the two men that Lieutenant Giovannoli had pulled from the burning Boeing 299. 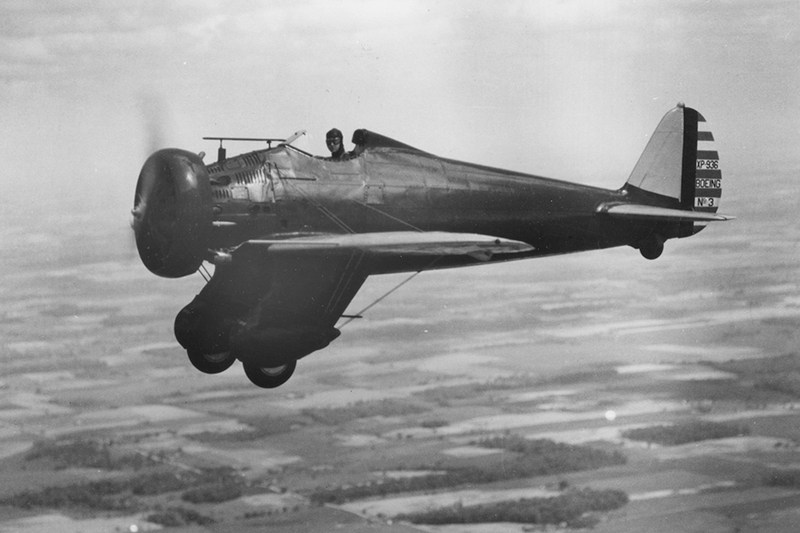 The Boeing P-26 was a single-seat, single-engine monoplane. 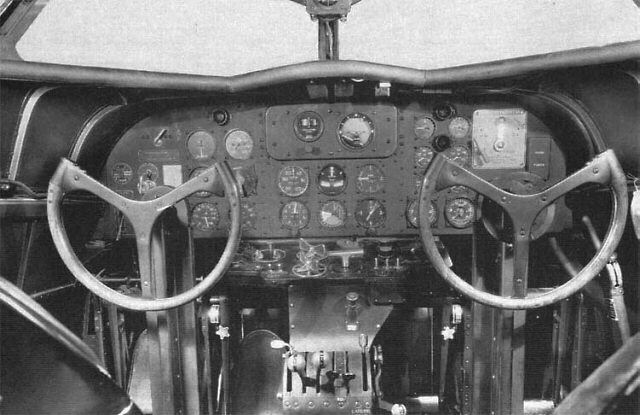 It was the first all-metal U.S. Army pursuit, but retained an open cockpit, fixed landing gear and its wings were braced with wire. The airplane was 23 feet, 7 inches (7.188 meters) long with a wingspan of 28 feet (8.534 meters). The empty weight of the prototype was 2,119 pounds (961.2 kilograms) and gross weight was 2,789 pounds (1,265.1 kilograms). 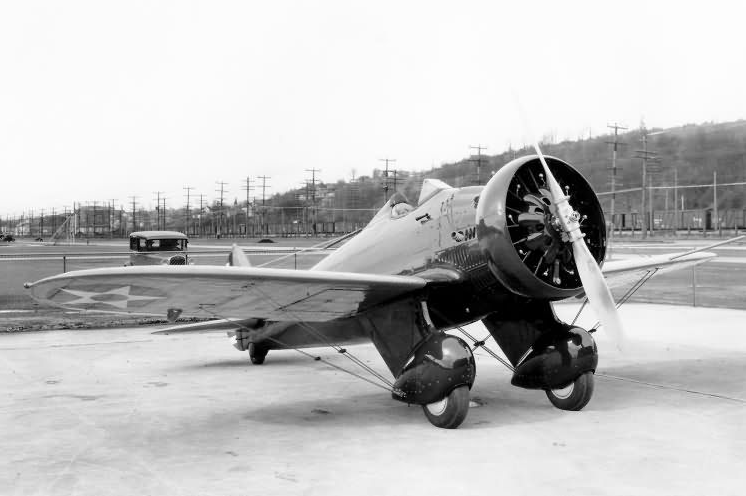 The Y1P-26 was powered by an air-cooled, supercharged, 1,343.804-cubic-inch-displacement (22.021 liter) Pratt & Whitney R-1340-21 (Wasp S2E), a single-row, nine-cylinder radial engine. The P-26A and P-26C were powered the Pratt & Whitney R-1340-27 (Wasp SE), while the P-26B used a more powerful, fuel-injected R-1340-33 (Wasp D2). Each of these engines were direct drive and had a compression ratio of 6:1. The engine was surrounded by a Townend Ring which reduced aerodynamic drag and improved engine cooling. The R-1340-21 had a Normal Power rating of 600 horsepower at 2,200 r.p.m. at 6,000 feet (1,829 meters); 500 horsepower at 2,200 r.p.m. at 11,000 feet (3,353 meters); and 500 horsepower at 2,000 r.p.m. for takeoff. It required 87-octane gasoline. The –21 had a diameter of 3 feet, 3.44 inches (1.307 meters) and weighed 715 pounds (324 kilograms). The R-1340-27 had a Normal Power and Takeoff power rating of 570 horsepower at 2,200 r.p.m., to 7,500 feet (1,524 meters), using 92-octane gasoline. The –27 was 3 feet, 7.25 inches (1.099 meters) long, 4 feet, 3.50 inches (1.308 meters) in diameter and also weighed 715 pounds (324 kilograms). The R-1340-33 was rated at 575 horsepower at 2,200 r.p.m. to 10,000 feet (3,048 meters), and 600 horsepower at 2,120 r.p.m. for Takeoff, with 87-octane gasoline. It was 3 feet, 10.75 inches (1.187 meters) long, with the same diameter as the –27. It weighed 792 pounds (359 kilograms). The engines drove a two-bladed, Hamilton Standard adjustable-pitch propeller. The pursuit had a maximum speed of 227 miles per hour (365 kilometers per hour) at 10,000 feet (3,048 meters), and a service ceiling of 28,900 feet (8,809 meters). 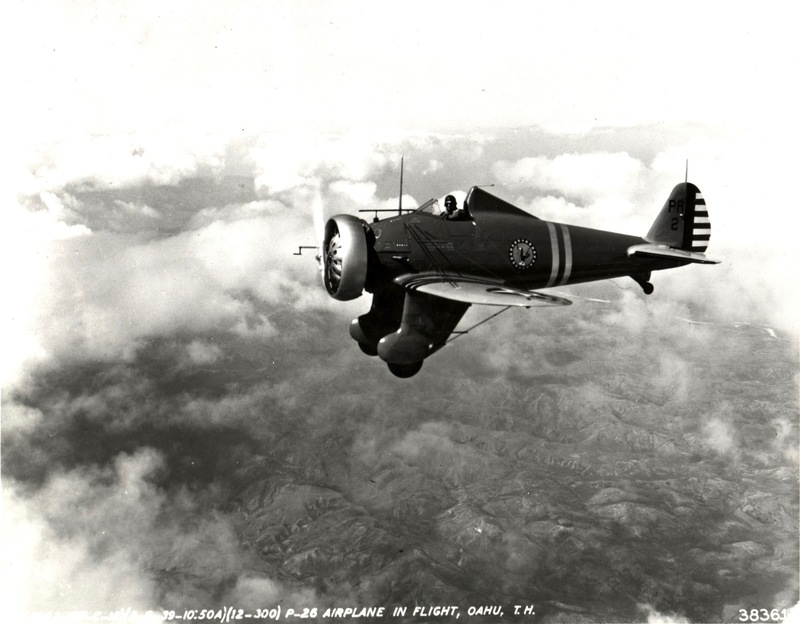 As a pursuit, the P-26 was armed with two air-cooled Browning M1919 .30-caliber machine guns, synchronized to fire forward through the propeller arc. Boeing built 136 production P-26s for the Air Corp and another 12 for export. Nine P-26s remained in service with the Air Corps at the beginning of World War II. 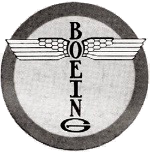 8 February 1933: Boeing test pilot Leslie R. (“Les”) Tower and United Air Lines Captain Louis C. Goldsmith made the first flight of the Boeing Model 247, NX13300, a twin-engine airline transport, at Boeing Field, Seattle, Washington. The first flight lasted 40 minutes and Tower was quite pleased with the airplane. He took it up a second time later in the day. The 247 is considered to be the first modern airliner because of its all-metal semi-monocoque construction, cantilevered wing and retractable landing gear. It was 50 miles per hour (80.5 kilometers per hour) faster than its contemporaries, and could climb on one engine with a full load. The airplane was built at Boeing’s Oxbow factory on the Duwamish River, then barged to Boeing Field where it was assembled and tested. The 247 was originally named “Skymaster,” but this was soon dropped. 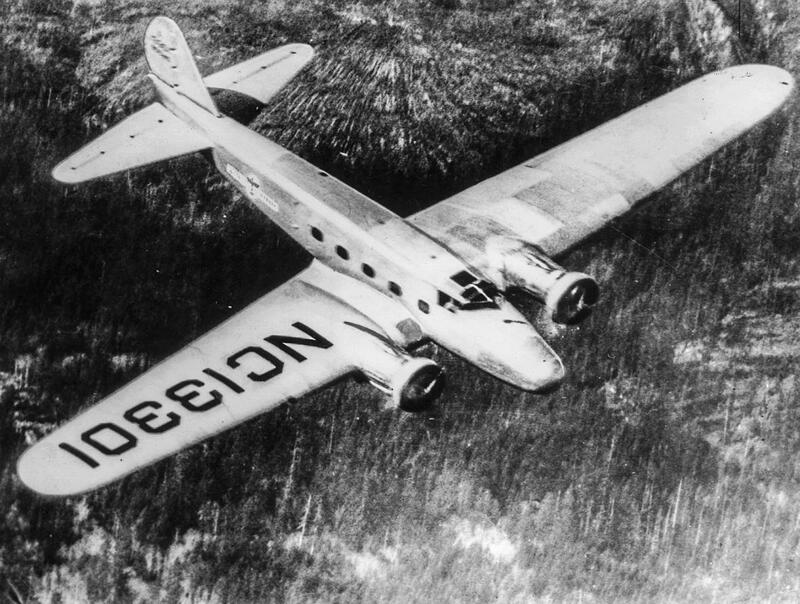 Two months after the first flight, the first production 247, NC13301, was placed in service with United Air Lines. It was the first of ten 247s bought by United. 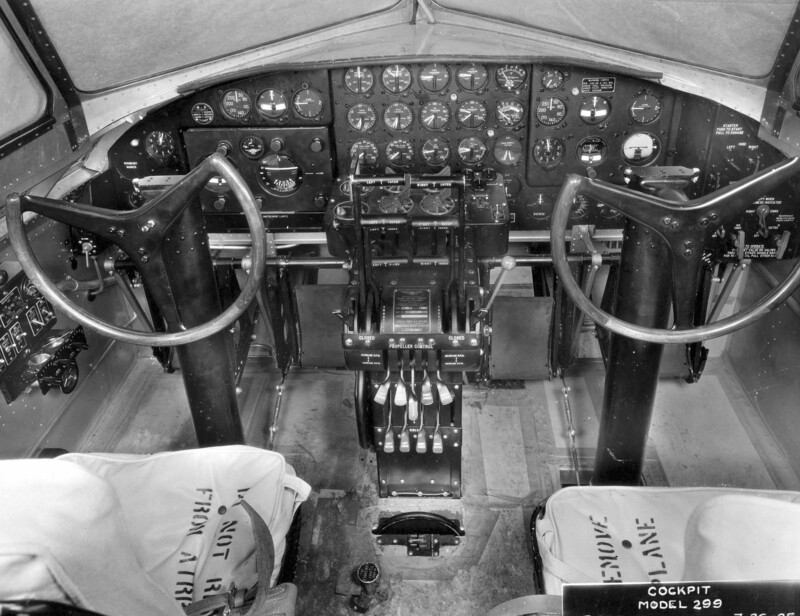 The Model 247 was operated by a pilot, co-pilot and a flight attendant and carried up to ten passengers. The airplane was 51 feet, 5 inches (15.672 meters) long, with a wingspan of 74 feet, 1 inch (22.581 meters) and overall height of 12 feet, 5 inches (3.785 meters). The empty weight was 8,921 pounds (4,046.5 kilograms) with a maximum takeoff weight of 16,805 pounds (7,622.6 kilograms). The Duralamin skin panels were anodized, rather than painted, for corrosion protection. This saved weight, and resulted in the 247’s characteristic gray-green color. 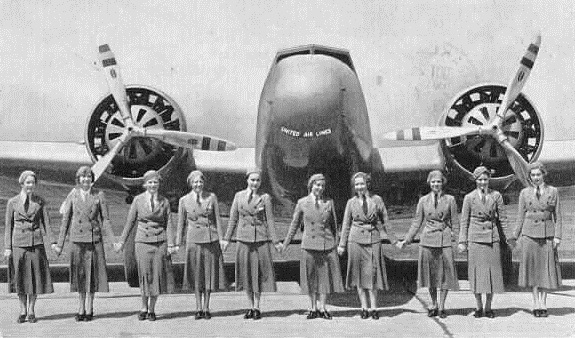 The airliner was powered by two air-cooled, supercharged, 1,343.804-cubic-inch-displacement (22.021 liters) Pratt & Whitney Wasp S1H1-G nine-cylinder radial engines with a compression ratio of 6.03:1. The S1H1-G had a Normal power rating of 550 horsepower at 2,200 r.p.m., to 8,000 feet (2,438 meters), and 600 horsepower at 2,250 r.p.m. for Takeoff. 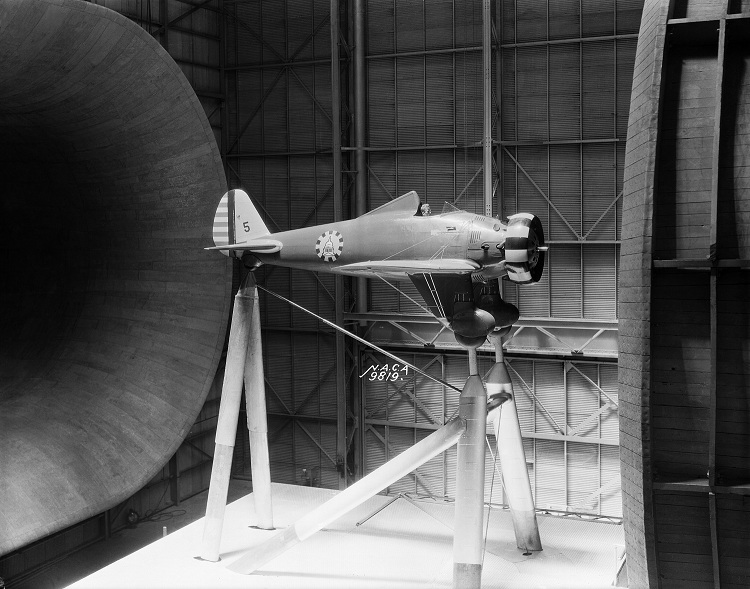 They drove three-bladed Hamilton Standard constant-speed propellers through a 3:2 gear reduction. The Wasp S1H1-G was 3 feet, 11.80 inches (1.214 meters) long, 4 feet, 3.61 inches (1.311 meters) in diameter, and weighed 930 pounds (422 kilograms). The Boeing 247 had a maximum speed of 200 miles per hour (321.9 kilometers per hour) with a cruising speed of 188 miles per hour (302.6 kilometers per hour. It had a range of 745 miles (1,199 kilometers) and a service ceiling of 25,400 feet (7,742 meters). 75 Model 247s were built. 60 were bought by Boeing Air Transport. 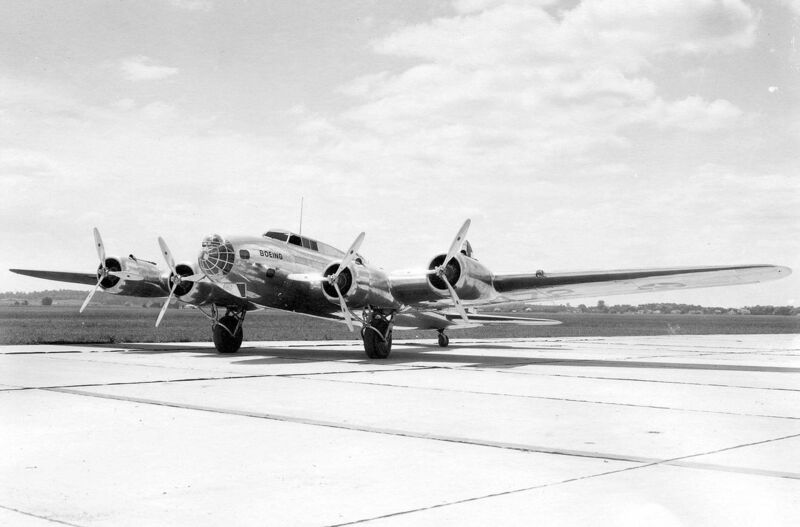 30 October 1935: While undergoing evaluation by the U.S. Army Air Corps at Wright Field, northeast of Dayton, Ohio, the Boeing Model 299 Flying Fortress, NX13372—the most technologically sophisticated airplane of its time—took off with Major Ployer P. Hill as pilot. 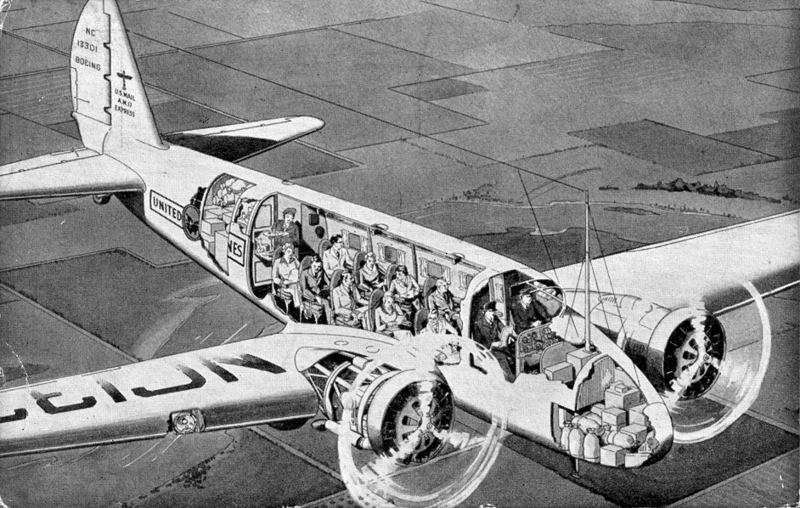 The largest land airplane built up to that time, the XB-17 “seemed to have defensive machine guns aimed in every direction.” A Seattle Times newspaper reporter, Roland Smith, wrote that it was a “flying fortress.” Boeing copyrighted the name. Major Hill was the Chief of the Flying Branch, Material Division, at Wright Field. This was his first flight in the airplane. The co-pilot was the Air Corps’ project pilot, Lieutenant Donald Leander Putt. Boeing’s Chief Test Pilot Leslie R. Tower and company mechanic C.W. 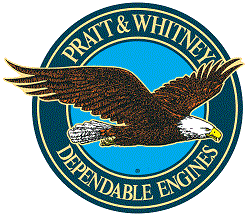 Benton were also on board, as was Henry Igo of the Pratt & Whitney Aircraft Company. 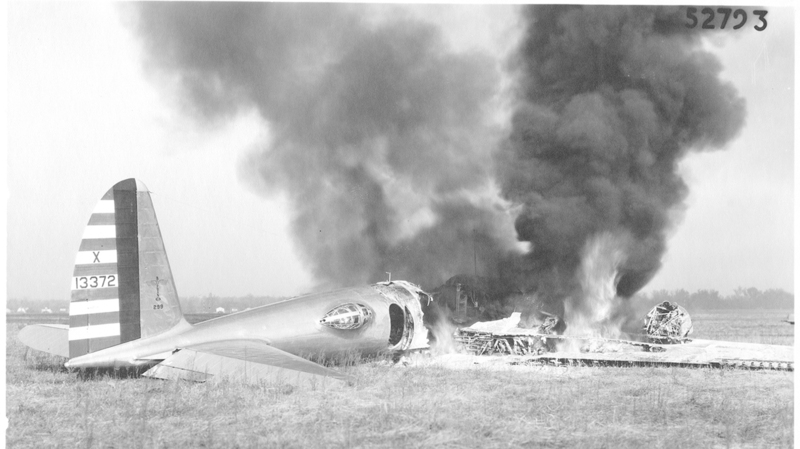 Immediately after takeoff, the 299 suddenly pitched up, stalled and crashed, then caught fire. Three men, Igo, Benton and Putt, were able to escape from the wreck despite injuries. First Lieutenant Robert K. Giovannoli, a test pilot assigned to the Material Division at Wright Field, saw the crash and immediately went to help. He made two trips into the burning wreck to rescue Hill and Tower, though later they both died of their injuries. The official investigation of the crash determined that the prototype bomber’s flight crew had neglected to release the flight control gust locks which are intended to prevent damage to the control surfaces while on the ground. Test Pilot Tower recognized the mistake and tried to release the control locks, but could not reach them from his position in the cockpit. Experts wondered if the Flying Fortress was too complex an airplane to fly safely. As a direct result of this accident, the “check list” was developed, now required in all aircraft. 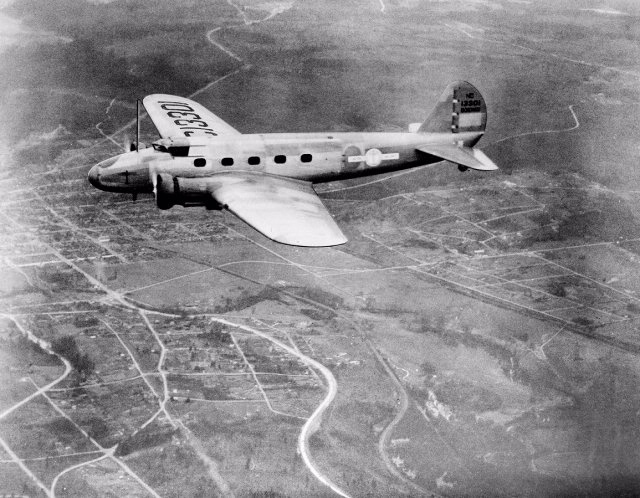 After several years of testing, the Model 299 went into production as the B-17 Flying Fortress. 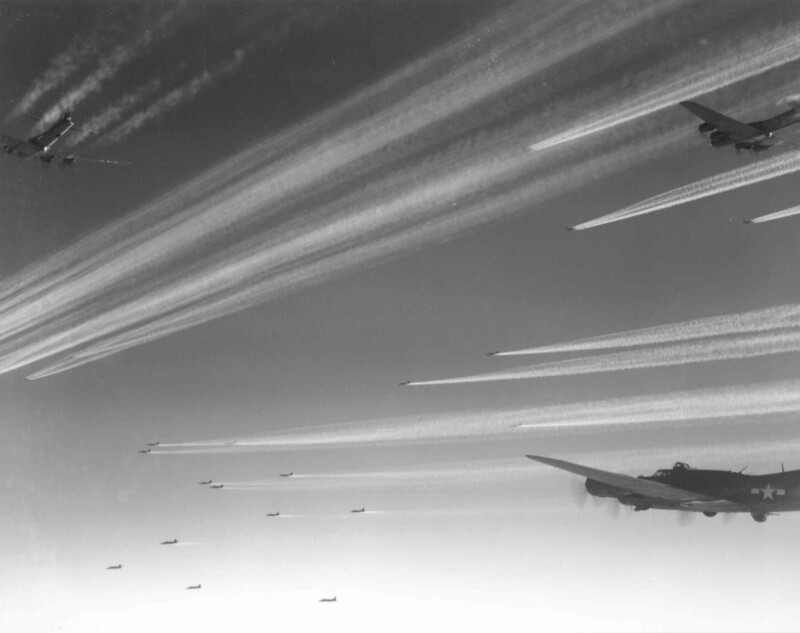 By the end of World War II, 12,731 B-17s had been built by Boeing, Douglas and Lockheed Vega. Hill Air Force Base, north of Salt Lake City, Utah, was named in honor of Major Ployer Peter Hill, U.S. Army Air Corps. The co-pilot, Lieutenant Putt, remained in the service and eventually achieved the rank of Lieutenant General, U.S. Air Force. He died in 1988. Giovannoli enlisted in the United States Army in 1927. After completing the Air Corps Primary Flying School at Brooks Field, and the Advanced Flying School at Kelly Field, both in San Antonio, Texas, he was commissioned as a second lieutenant in the Air Corps Reserve, 20 October 1928. Lieutenant Giovannoli was called to active duty 8 May 1930. In 1933, he was assigned to a one year Engineering School at Wright Field. He then was assigned to observe naval aircraft operations aboard USS Ranger (CV-4) in the Pacific Ocean. 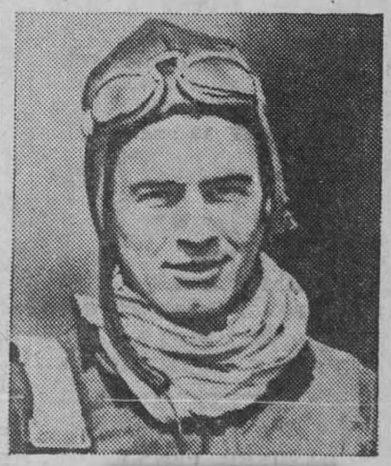 On 8 March 1936, just a few days after returning from his temporary assignment with the Navy, Lieutenant Giovannoli was killed when the right wing of his Boeing P-26 pursuit, serial number 32-414, came off in flight over Logan Field, near Baltimore, Maryland. First Lieutenant Robert Kinnaird Giovannoli, Air Corps, United States Army, was buried at the Bellevue Cemetery, Danville, Kentucky. In 1985, the Robert Kinnaird Giovannoli Scholarship was established to provide scholarships for students in mechanical engineering at the University of Kentucky College of Engineering.